Welcome to the forum Evanescence! 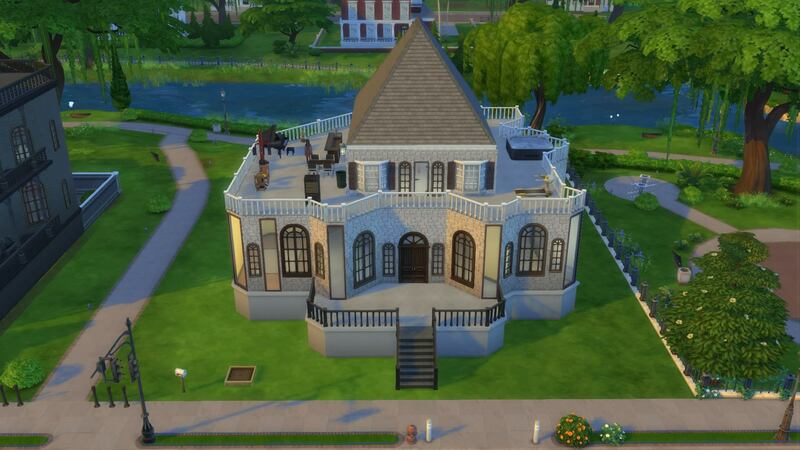 This is a place where you can share anything from any of The Sims Games, I wanted a place to share my Sims 4 families or whatever so I made this thread. This family is based on the characters from a short film I wrote recently, I figured making them would be an excellent, opportunity to add more depth to the characters. It is essentially about the relationship between a mother and a daughter. It is a reversal of traditional roles, the father is basically the stay at home parent he does all the cooking. You know how in some movies and TV there are fathers who are workaholics and have little time for their children? Wellin my film, the mother is. Vanessa is basically a less involved version of Charlotte Pickles. 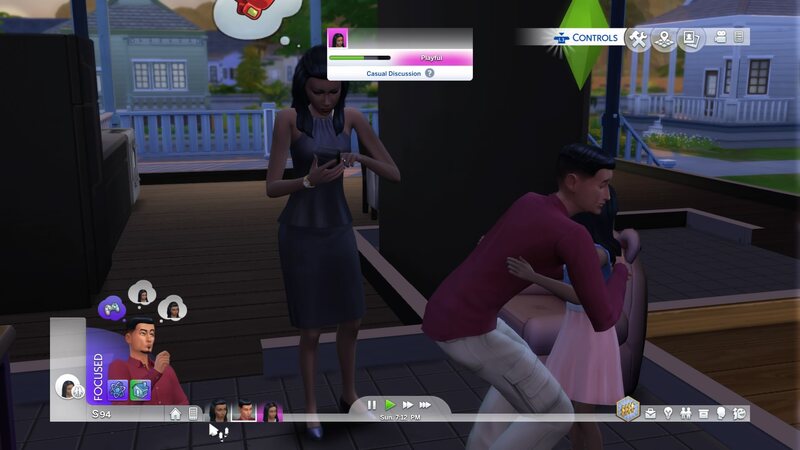 Jax is the one who takes care of Zinnia, but I had to age Zinnia up to a teen because I wasn't making enough money so Jax got a job too. 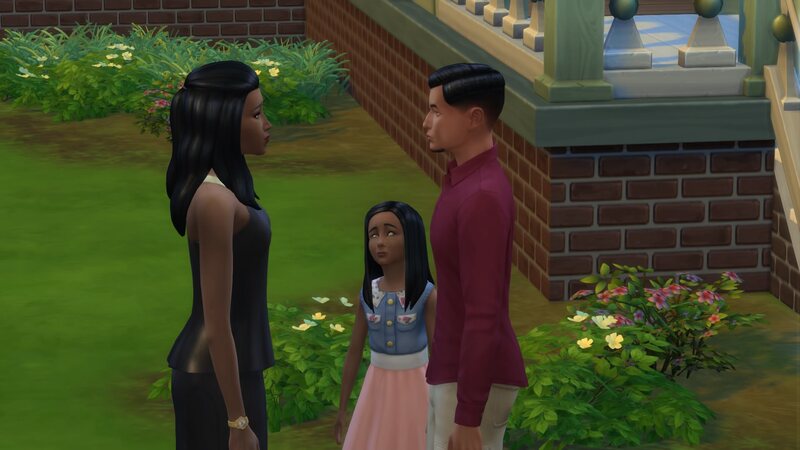 Vanessa and Jax are an interracial couple, not that it really matters but the mother is black and the father is Hispanic, that was my vision, for the movie. That's all I'll say because I don't won't to give any of the plot away. But anyway I'm going to start making the movie very soon and I'd like to finish it by the end of the year and share it with you guys. This is when I first made them. This is the house I built.The top floor is for our daughter well the characters daughter technically, and her fiance who moved in. I don't want to move them out because I still want to control them all basically, but the top floor is like it's own house. And this is Zinnia (Daughter) and her fiance. She's not pregnant she just looks it because she hasn't exercised lol. It took me like four hours to finish that house I'm a perfectionist, when it comes to everything looking perfect. You should it's the same exact game as the pc version for the first time ever we'll be getting expansions and everything. You built that house on your own?